I wonder how James keeps his Saint Laurent purse briefcase, so white. Last time I made a white leather purchase my ink leaking jeans rubbed a cloud on the entire backside of the phoebe philo Celine tote. 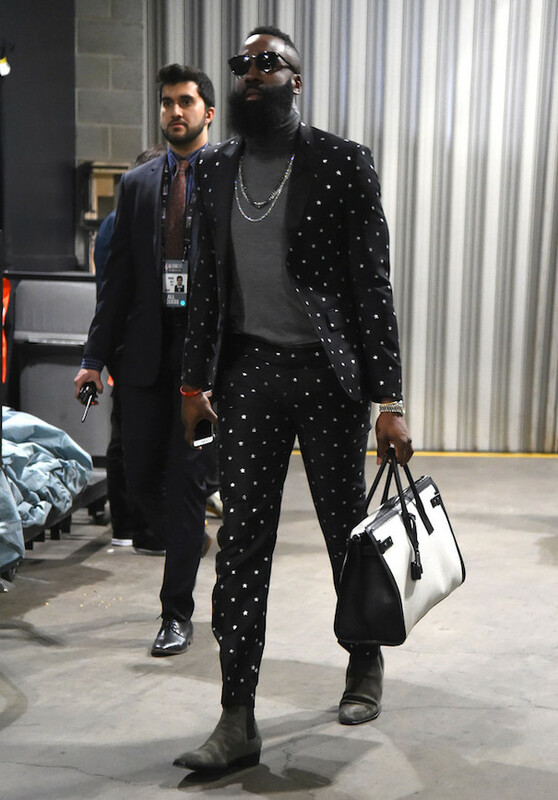 I have to admit that Harden's Saint Laurent shoe and bag game was incredibly strong at the NBA All-Star game. Props on the chelsea bootie James.